-Carl G. Jung, Seelenprobleme der Gegenwart. Zurich: Rascher, 1931. Over the course of human development, humans have evolved certain predictable, repeatable, and reproducible responses to environmental stimuli. Observation, by its very nature, is neither passive nor inert; humans do not merely record and archive outside phenomena in the attic of their minds. Rather, to observe is to perceive. Shakespeare himself paid homage to the power of perception when his character Hamlet, who suspects his mother to be incestuously involved with his uncle, and for whom “something is rotten in the state of Denmark,” remarks of Denmark “…for there is nothing either good or bad, but thinking makes it so. To me it is a prison.” Perception recruits significant numbers of neurons in specialized brain centers devoted to olfaction, vision, and audition that parse and process sensory data. Such cognition is metabolically “expensive;” yet it serves a vital role–it helps us find both our way in the world and our place in it. The psychology of visual perception, in particular, guides the astute artist-photographer in the development of a robust, deliberative compositional aesthetic. Here, I present the rationale for and consequences of an especially powerful design paradigm that appeals to the sensibilities of human perception in a subtle, yet highly impactful manner. The eyes may be windows to the soul, but they are also windows to the world. If the eyes are windows, then the mind is the windowpane—tinting sensation in shades of rose or film-noir. If olfactory and gustatory stimuli such as the earthy smell of rainfall or pungent odor of putrefaction can engender powerful and poignant emotional responses, then perhaps so too can the tasteful inclusion and placement of elements in a photographic composition. Perception is influenced by myriad unconscious cues, and the astute photographer would do well to be mindful of such cues. Perception, at its core is highly ego-centric: one’s response to visual phenomena is contingent in large part, on one’s life experiences. 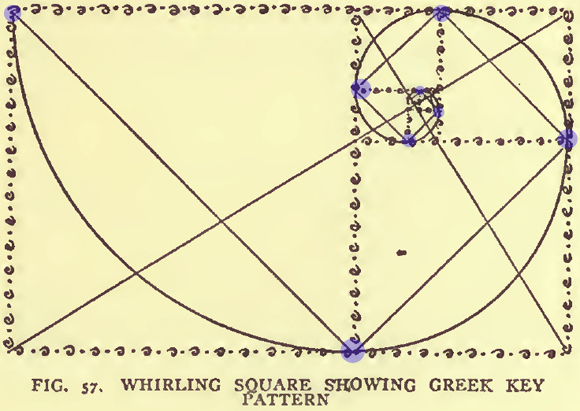 To wit, consider the elementary geometry shapes of the triangle, the square, and the circle. One associates circles and spheres with motion and dynamism—for circles are wont to roll with the slightest perturbation. In contrast, squares and cuboids impart a sense of stability because of their great geometric “inertia.” Triangles convey stability, strength, and motion—the former two characteristics are imparted by the triangle’s fixture in architecture consequent to its ability to reduce lateral motion in such objects as bridges, while the sense of motion is imparted by its apex. If all of nature could be reduced to such simple geometric shapes, ascertaining compositional themes would be but a trifle. However, such reduction ad absurdum (in a manner of speaking) is simply untenable—the patterns in nature are a bit more nuanced and subtle. Indeed, for millennia, great philosophers and architects, as well as the esteemed photographers and artists of old have occupied themselves in the pursuit of transposing the universal, repeating patterns found in nature into a system of design principles that replicates these patterns and produces perceptual harmony. One such principle is the principle of Dynamic Symmetry, which shall be treated at length forthwith. Consider the following geometric exercise while referring to the figure below . We begin with a square of side 1 (this selection is arbitrary; any size will do). Halving the square creates two congruent rectangles. Draw the diagonal of one of these rectangles. By the Pythagorean theorem, we find that the square of the diagonal equals the 1 + (0.5)^2. The diagonal therefore equals the square-root of 1.25. Next, extend the width of the square by an amount equal to the difference of the length of the diagonal and the side length of the square). This creates a side of length sqrt (1.25) + 0.5 = 1.619. Notice now that we have the original square on the left and a “new” rectangle to its right (inlaid in red), as shown below . The external boundaries of these two figures form a rectangle whose sides are in a ratio of 1:1.619. Now, a most noteworthy occurrence has transpired: if one were to measure the dimensions of the “new” rectangle created to the right of the original square, one would find that its sides are also in a ratio of 1:1.618. This rectangle may be divided into a square and a rectangle as well. These sides of the newly created rectangle are also in a ratio of 1:1.618. 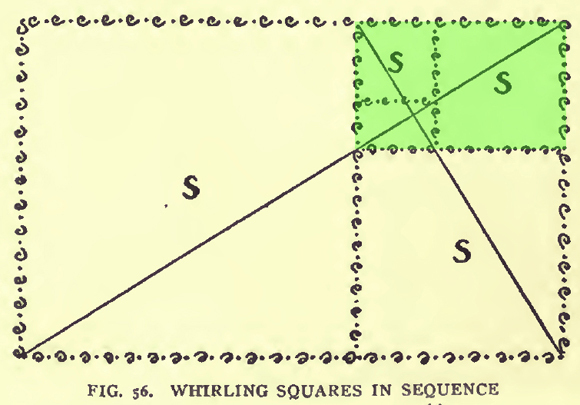 This new rectangle may then be further divided into a new square and a new rectangle, the latter of which is highlighted in green and whose sides retain the same ratio as their predecessors. 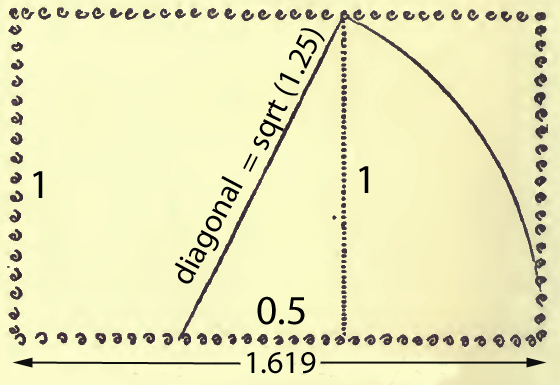 The unique feature of this spiral is that for every quarter turn (90 degrees) it makes, it gets wider by a factor of 1.618 (referred to as the growth factor). 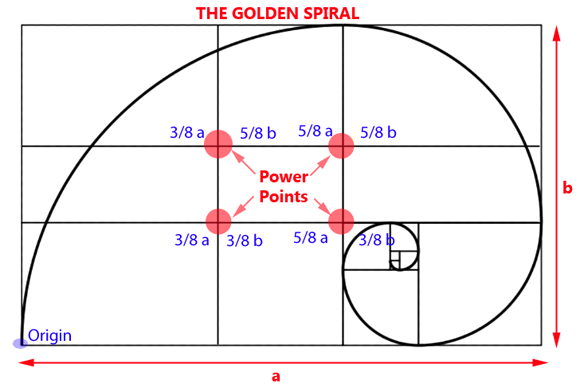 The growth factor of the golden spiral is related to a very famous mathematical sequence called the Fibonacci sequence: [ 0, 1, 1, 2, 3, 5, 8, 13, 21, 34, 55, 89, 144, 233, 377, 610, 987, 1597, 2584, 4181, 6765, 10946, 17711, 28657…]. Named after the 12th century mathematician Leonardo of Pisa, the Fibonacci sequence begins with the numbers 0 and 1. Each successive number thereafter is the sum of the two preceding numbers: 2 = 1 +1; 55 = 34 +21. Especially interesting is the fact that as the sequence progresses, the ratio of two consecutive numbers asymptotically approaches the golden ratio of 1.618 (8/5 = 1.6; 1597/987 = 1.618). The golden spiral is reproduced in many natural gross morphological structures. Some of these are depicted in the figure below . 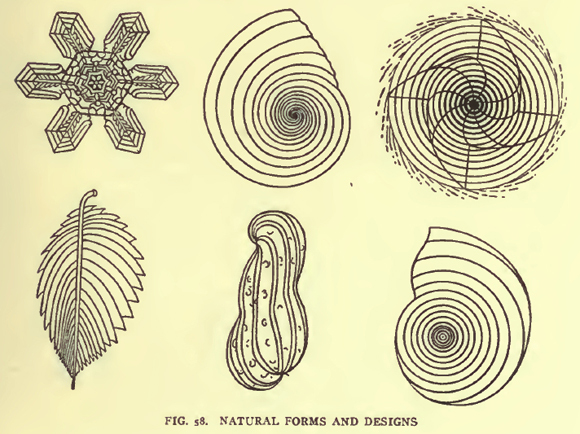 Dynamic Symmetry arose from keen observations of geometric patterns in nature. 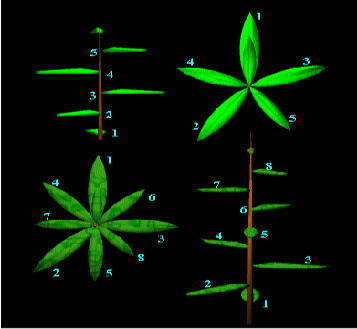 One such area of study that has yielded interesting results is Phylotaxis, the study of plant growth. Both Leonardo Da Vinci and Kepler (the notable astronomer) noted that the growth of successive leaf stems on a plant occurred in a spiral; Kepler hypothesized a conformance of the spiral to the Fibonacci sequence . Let us represent a transverse section of a plant stem by a circle. To divide this circle into golden proportions, we partition it into to arcs, the ratio of whose lengths is the golden ratio i.e. 1.619. Then, to find the angle in degrees subtended by the smaller of the two arcs, we divide 360 degrees by (1 + 1.619) to yield 137.457 degrees. This is exactly the angle measure adopted by neighboring leaves on a plant stem, presumably for optimally efficient photosynthesis. The magic doesn’t stop here. 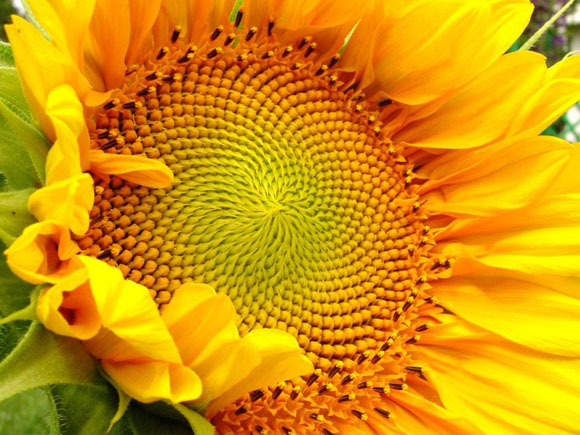 Consider the image of the sunflower. Notice that there are a set of clockwise spirals and a set of counterclockwise spirals. 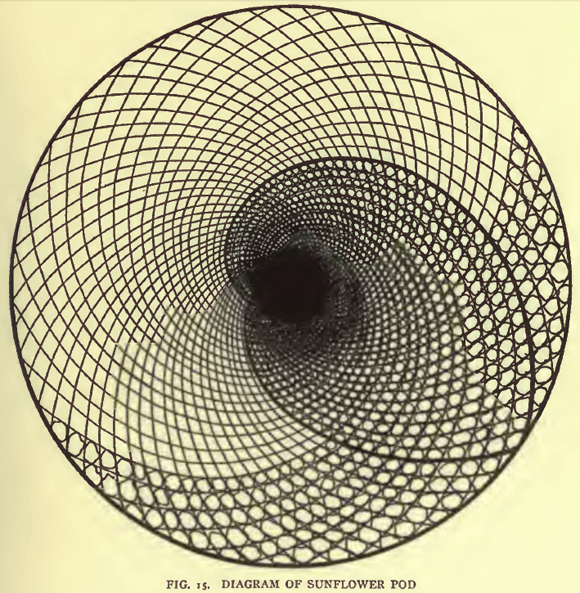 The numbers of these spirals are always consecutive numbers of the Fibonacci sequence (eg. 21 and 34, 55 and 89 etc). Pine cones too have clockwise and counterclockwise spirals, as shown in the image below . The golden spiral is also found 21 million light-years away. 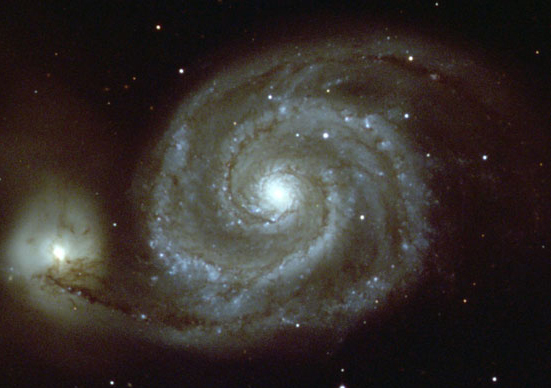 The image of the Whirlpool Galaxy, a spiral galaxy, conforms to golden proportions . 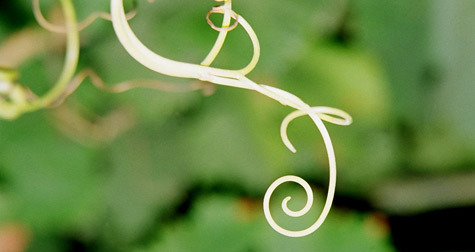 Many other phenomena such as the spiral shape assumed during the unfurling of a vine’s tendril, the shape of the cochlea etc where noted by philosophers and empiricists such as Plato, Pythagoras, and Leonardo da Vinci (whose Vitruvian man conforms to divine, golden proportions). Photographic compositions, not surprisingly, can benefit from the golden spiral. 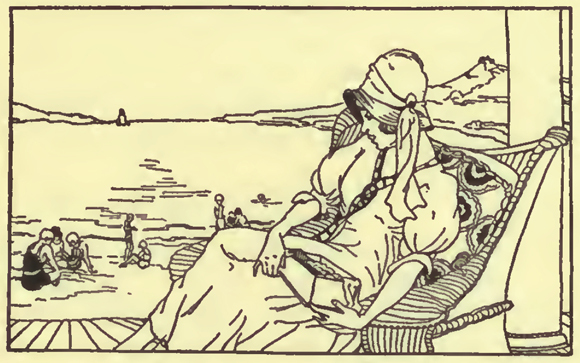 The sketch below was created using the golden spiral as a guide to position the woman’s head. Click on the image to see the golden spiral superimposed on it . Since one cannot practically draw a spiral over one’s viewfinder when composing photographs in the field, many a photographer have settled for an approximation—the much-vaunted “rule of thirds,” in which the scene under consideration is partitioned into a 3X3 equally spaced grid. The rule of thirds may serve many well, but the following rule might serve you better! From the Fibonacci sequence, we can see that 5 and 8 are two consecutive numbers with a ratio of 1:1.6. Thus, rather than drawing vertical and horizontal lines 1/3 and 2/3 into the frame, draw them 3/8 and 5/8 into the frame. Refer to the figure below . Thus, elements of interest may be situated at any of these four points to increase the odds of an aesthetically pleasing composition. 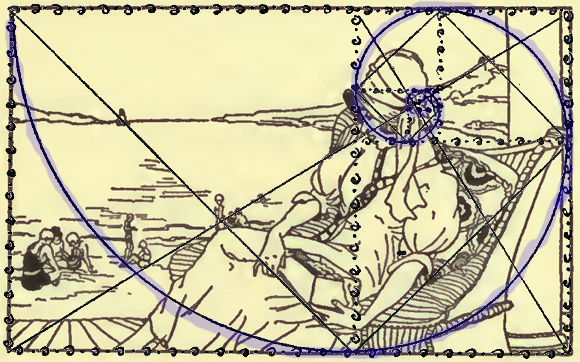 To facilitate the development of an intuition for golden ratio compositions, you may cut out a piece of cardboard (or the like) with sides in the ratio of 1:1.619 and then etch 3/8 and 5/8 grid lines into it. Kappraff, J., “Growth in Plants: A Study in Number” New Jersey Institute of Technology, Department of Mathematics.